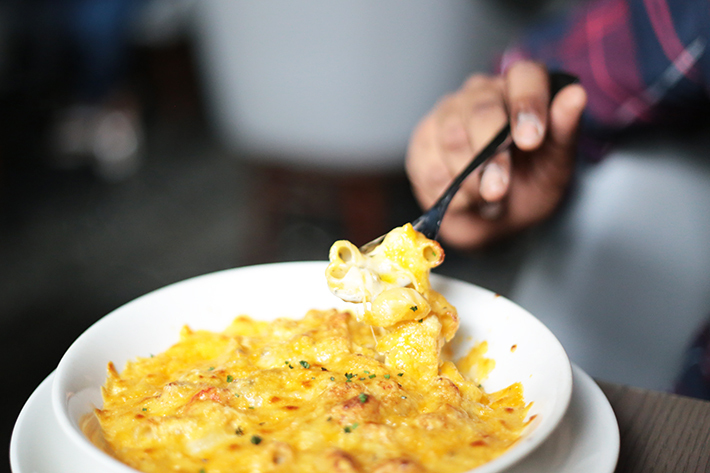 There is nothing bad about Mac & Cheese, ever. Forget that it is perhaps fattening; the feeling you get when the cheese stretches long and high up when you dig ‘em up is unbeatable. And when you bite into the baked top where the cheese is the perfect balance of crisp and soft, that will be your gauge on whether or not the dish is good. 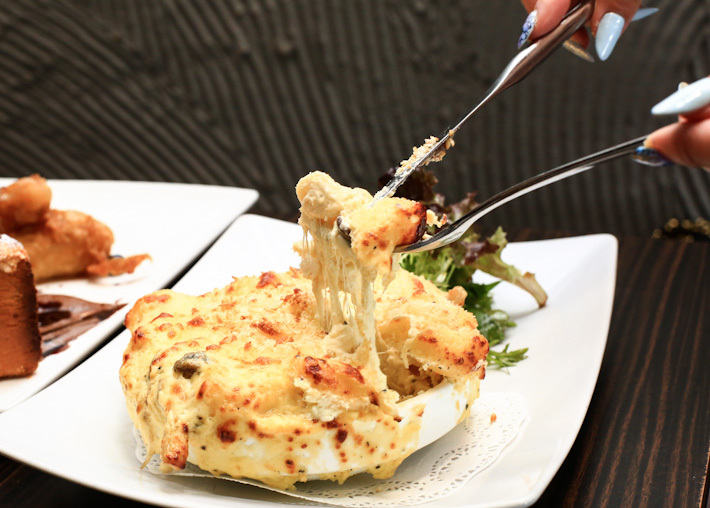 Mac & Cheese is something that can be enjoyed at any time of the day – as an appetizer, as a sharing dish, as a main. In a restaurant for a fancy dinner with lobster, or simply a small but still satisfying portion for brunch, anything goes, as long as it is a good Mac & Cheese. 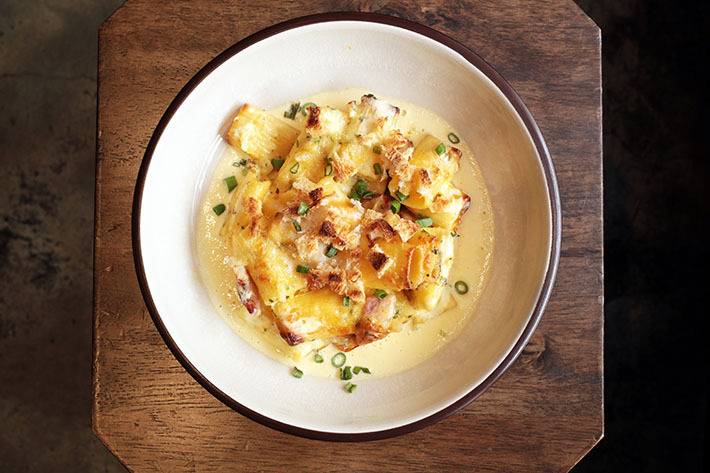 Here are our picks for the 9 best Mac & Cheese Dishes in Singapore. And please share your favourites with us. 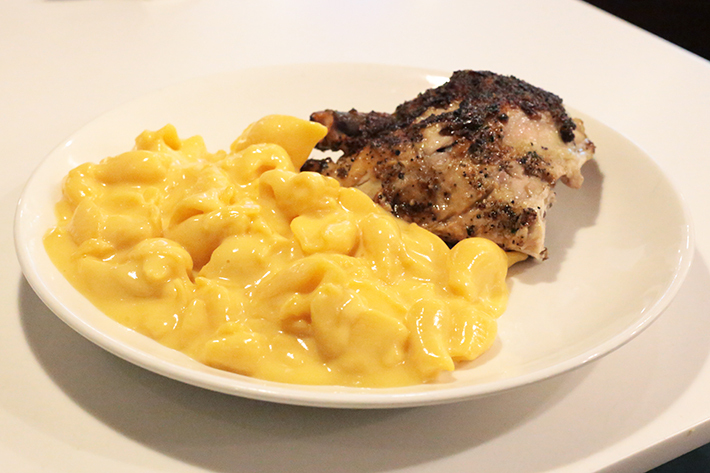 Mac & Cheese lovers unite! 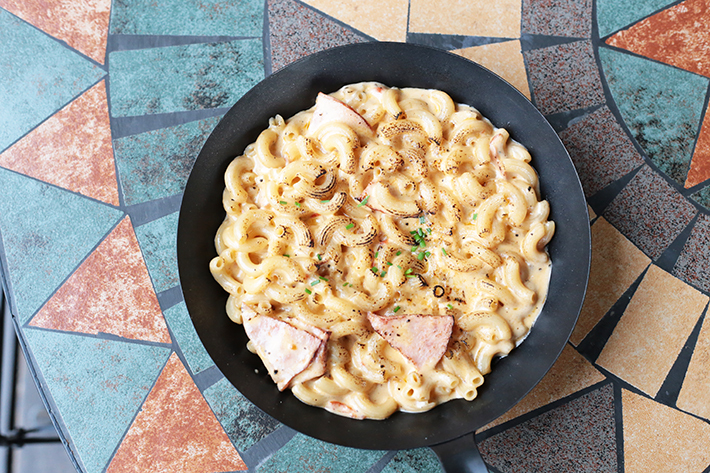 Bedrock Bar & Grill’s rendition of Mac & Cheese is served as a side dish to their lunch mains. 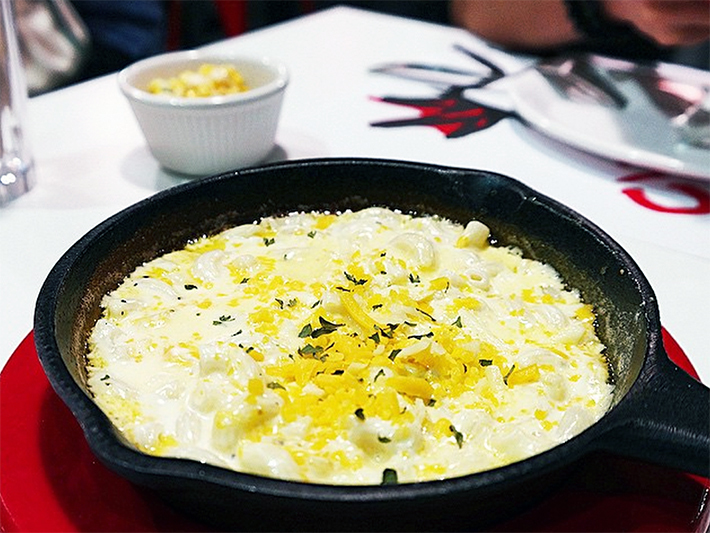 We had to give props to this delicious bowl of goodness, rich in all its cheesy glory. Longer strands of macaroni are used instead of the typical, smaller version. And yes, they make the best accompaniment to your steak. You are not the only one. We, too, were surprised that a Korean Fried Chicken restaurant serves up a great Mac & Cheese (S$9.90). The heavenly taste of this creamy Mac & Cheese, topped with cheddar and other cheeses, had us sold. You might find it boring just having the chicken here, so why not dig into something tasty like this? Kenny Rogers has been around for as long as we can remember, and many of us have very fond memories of growing up with their Mac & Cheese (served as a hot side). You can get a small serving of this at S$4, on its own at S$8 in a large bowl. Either way, you will love these gratifying shells that are filled with the creamiest cheeses. 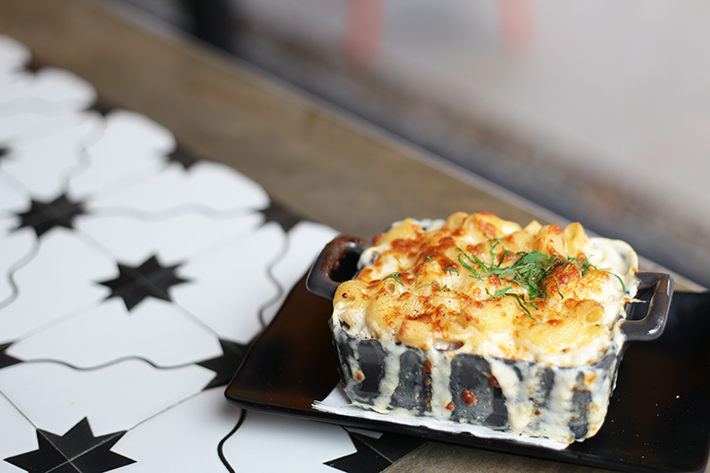 The Version 2.0 Baked Mac & Cheese Royale (S$20.50) is what we can only describe as a cheese lover’s wildest dreams. Baked with enoki and shimeiji mushrooms and black truffles, this is easily our all-time favourite in Singapore. If there was only one dish from Little Diner to live on, this will be it. 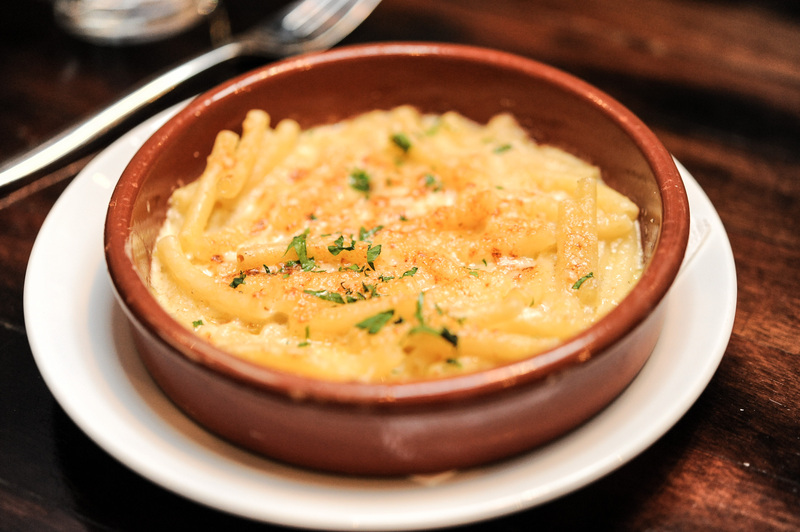 Believe us when we say that we always get excited when we see Mac & Cheese (S$18) on the menu. Using Rigatoni pasta instead of the typical elbow macaroni, the pasta feels more substantial with every bite. We also liked that they did not go crazy with changing it up, keeping the classic cheesy flavours. For S$13.80, we got a substantial portion of Park’s Truffle Mac & Cheese (S$13.80). The aroma of truffle oil is evident and from what we observed, this is one of the most popular dishes among diners here. The top layer was beautifully crisp, and the cheese was baked till it stretches when you tug on the macaroni. Park is also listed in our Holland Village Food Guide. The Macaroni & Cheese (S$29) at The Disgruntled Chef is a tad bit on the expensive side but we loved how every bite was extremely flavourful. Inside this beauty is a generous amount of black truffle and crayfish amidst the macaroni, and the amount of cheddar used was just right, making every mouthful better than the other without feeling too sick from the creaminess. 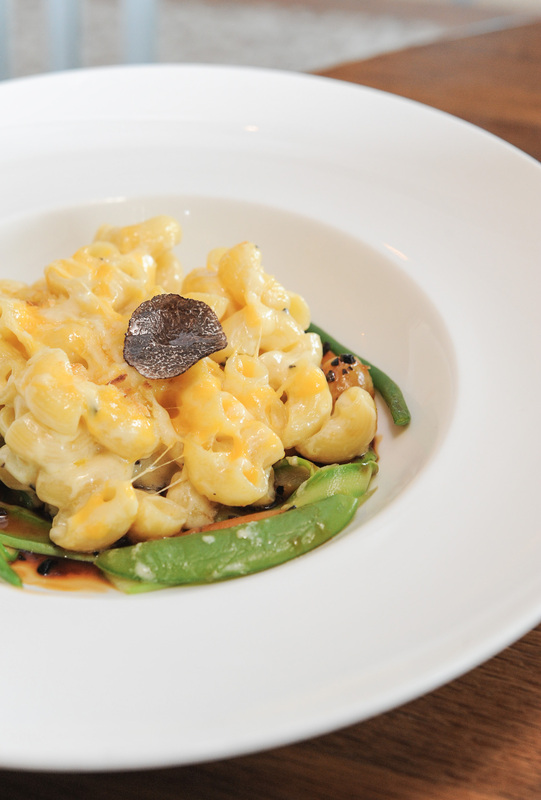 The Truffle Mac & Cheese with Mushrooms (S$16) is a good benchmark for all Mac & Cheeses in Singapore. For so long now, we have been fans. The truffle aroma did not overpower the rich cheeses and everything came together perfectly. Thumbs up to the delicious shrooms added too. The Mac & Cheese (S$12) at Whisk & Paddle is one of the most photogenic dishes at the cafe for sure. But don’t be swayed by just the good looks of this dish, because it tastes as good as it looks. The added slices of ham balanced out the cheesiness of this dish, giving it a more diversified taste. 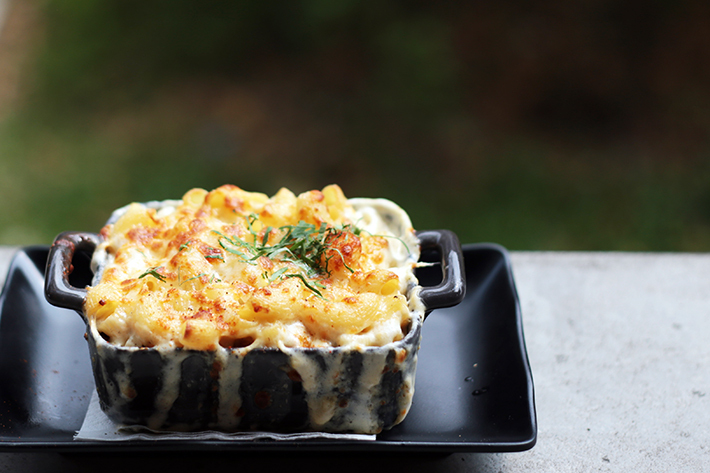 One of our go-to affordable Mac & Cheese dishes for sure! Whisk & Paddle is also listed in our guide on where to eat in Punggol. Cheryl is a staff writer for ladyironchef. She loves a good steak and an even better cuppa. She eats just about anything and everything. In her free time, she regularly starts on sci-fi or fantasy movie marathons. La Marelle has good Mac n Cheese as well!